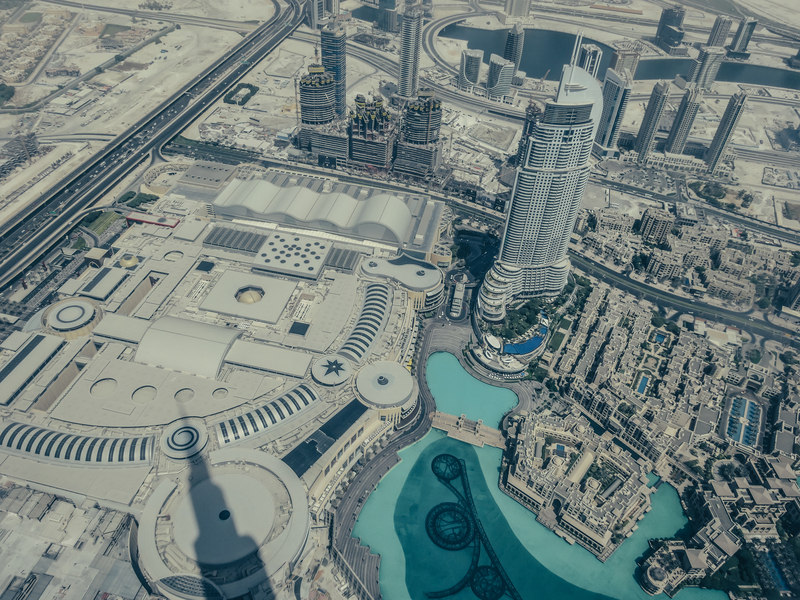 No trip to Dubai would be considered complete without a visit to the world’s tallest building, the Burj Khalifa. Entering through the Dubai Mall and approaching the building on a moving sidewalk, the scale is staggering. The view from the top is absolutely epic and breathtaking. Amazingly, the ride up the elevator to the 124th floor is smooth and takes a short time, probably around a minute followed by a walk up the stairs to the 125th floor. The view from the Burj Khalifa. I had the most spectacular view of the fountain show at The Palace Old Town private balcony. The water danced to music (“Hero” by Enrique Iglesias) giving a beautiful and breathtaking performance in perfect harmony. It was incredible and I literally teared up a little imagining how perfect the moment was for a proposal. It was an amazing experience courtesy of Mr Pakasa Sjafudin, Lifestyle Event Manager of the Palace Old town. Later in the day, the experienced and delightful agent from Rightway Travel and Tours picked us up from the hotel punctually in a 4 x 4. It took around one and a half hours to get to the desert during which the driver filled us in on lots of information about Dubai’s history. Once there, the car tires were deflated and we proceeded to go on a roller coaster ride in a 4 x 4 in the sand. The motion makes some people queasy but I enjoyed the adrenaline of being driven fast bashing into sand dunes. For those of us who were up to thrill, quad bikes were available for a cruise through the sand. 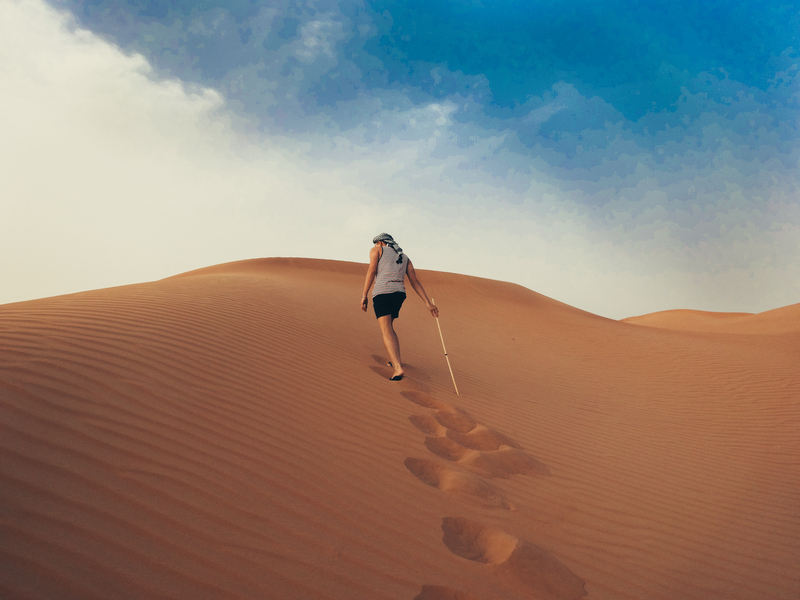 The experience was great fun though Dubai is really hot in August so I was glad when we finally slowed down to a halt to enjoy some beautiful sunset photography as the heat dissipated. The sun, however, sets quickly as you watch, you have a short time to capture the perfect shot of the sun setting over the dunes, I was able to get a few stunning photos, the sand actually appears an orange-red colour, the sun a blazing ball and there is not a soul in the pictures. The belly dancers did a fine job entertaining over dinner creating an ambience that felt like we had slipped through a crack in time and we were in a middle eastern dinner party in an enchanted time. 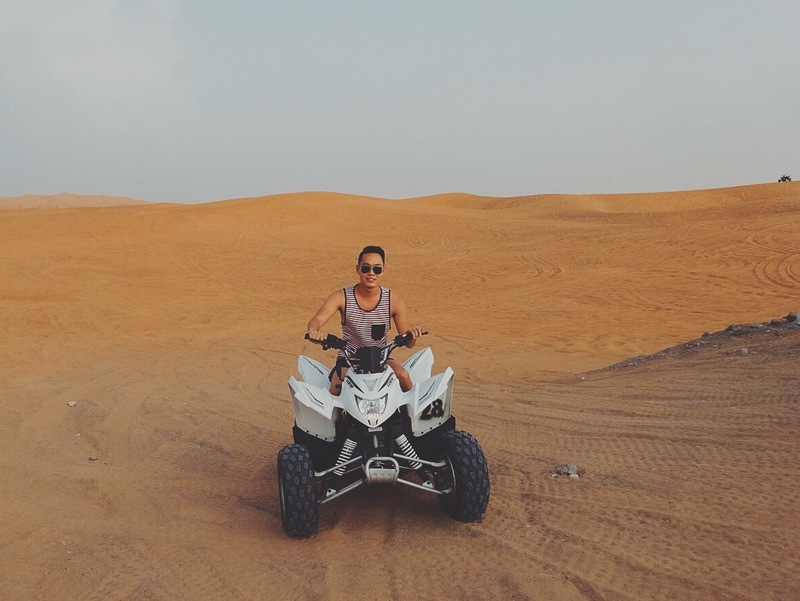 Experience quad biking in the open desert! 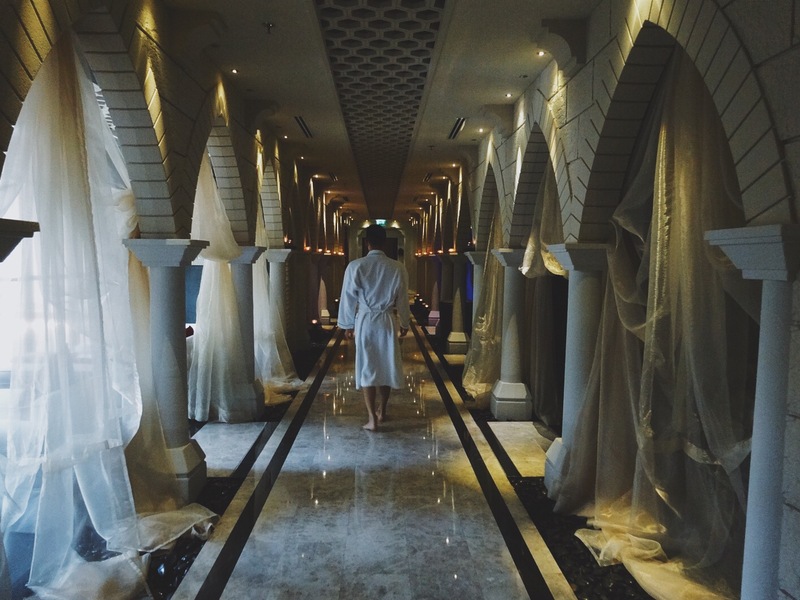 The Talise Ottoman Spa in the Jumeirah Zabeel Saray Hotel was the perfect place to unwind and relax. The options were limitless, from snow rooms to Turkish baths and invigorating salt water pools. 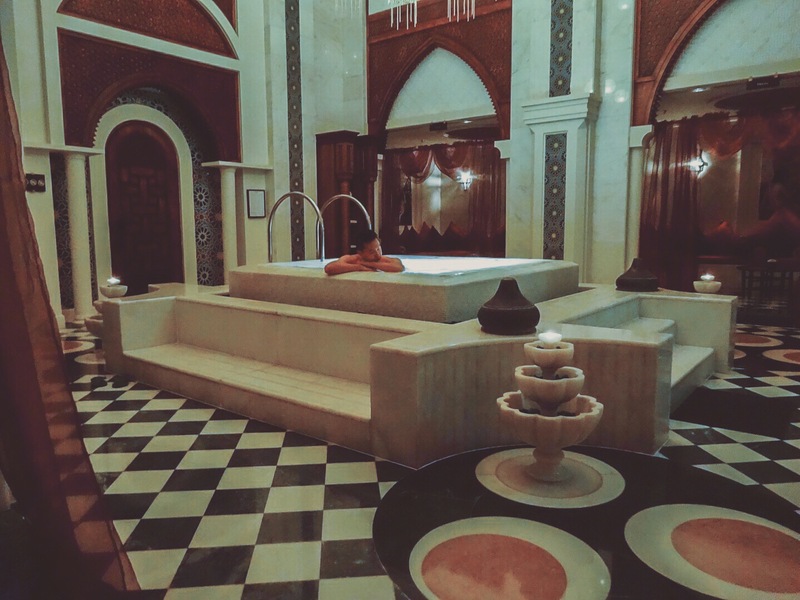 The hammam (Turkish Bath) experience was very comprehensive and the attendants were patient letting me enjoy each stage as long as necessary. The best part was the indoor salt water pool, the water felt smooth on the skin, almost silky and was gentle on my slightly sensitive skin. The chilling snow room was yet another pleasant surprise given the almost unbearable August heat in Dubai. 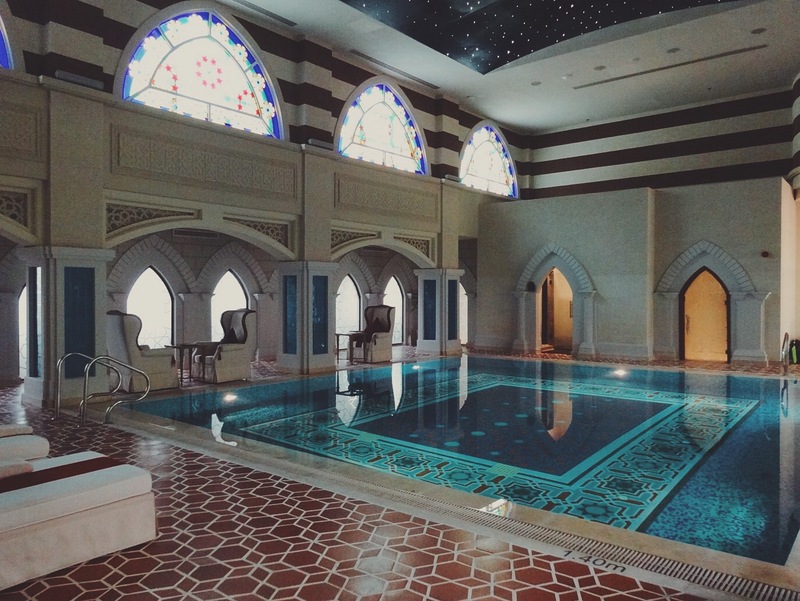 In the end, the experience at the Talise Ottoman Spa left me completely rejuvenated from the wild rides of the trip. 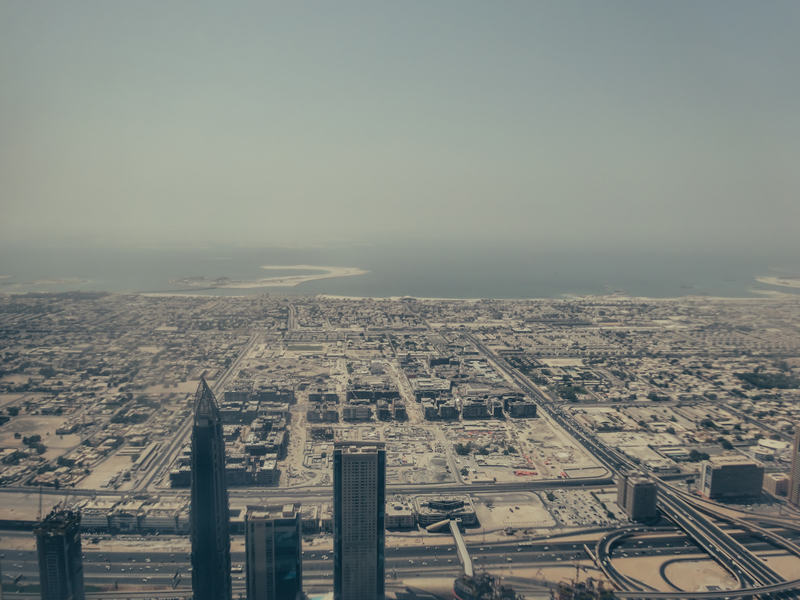 Services at The Address Dubai Mall live up to its 5-star status, the staff were friendly and went out of their way to ensure the stay was comfortable. They recommended relaxing by the infinity pool. The result was priceless, the pool appears to disappear into the fountain and the fountain show at night is phenomenal. 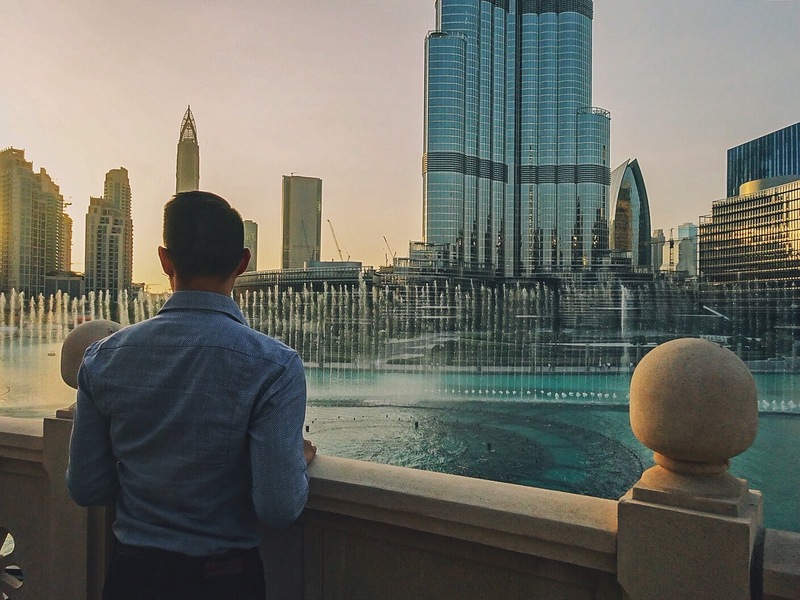 Moving on to The Palace Old town, I was offered a pick from a variety of rooms with different views, again I chose a room with a balcony overlooking Burj Khalifa the fountains from a different perspective. (It is impossible to get tired of the views of the fountain. The complimentary breakfast was quite a spread, no expenses spared. What a beautiful spa, definitely going to visit when I move there in January!